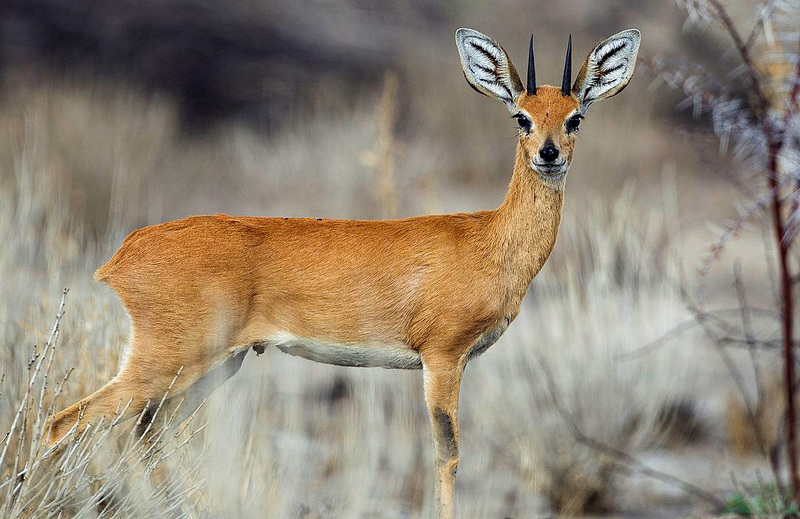 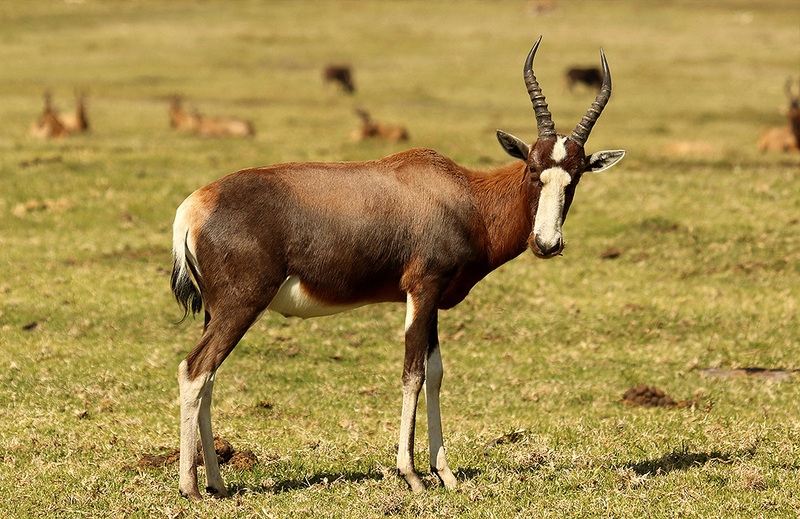 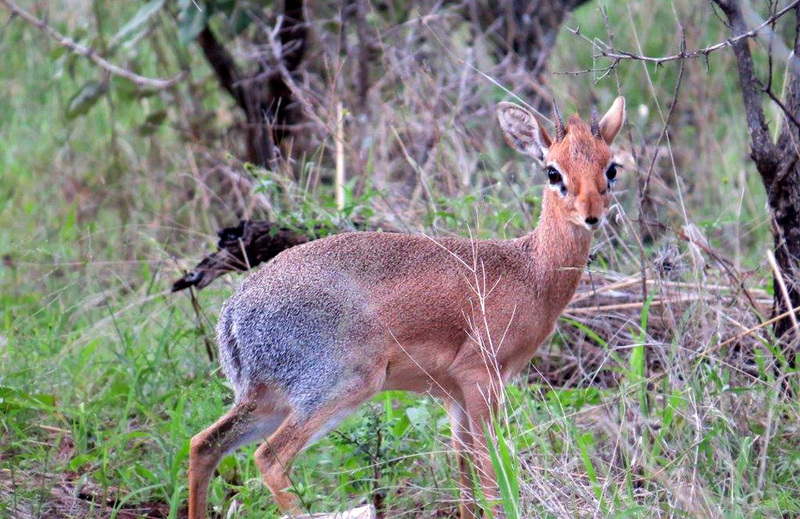 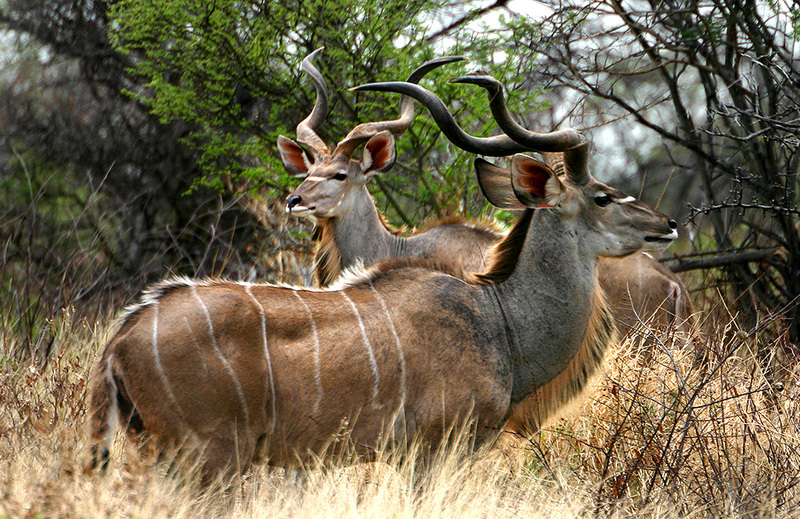 The steenbuck is a small antelope. 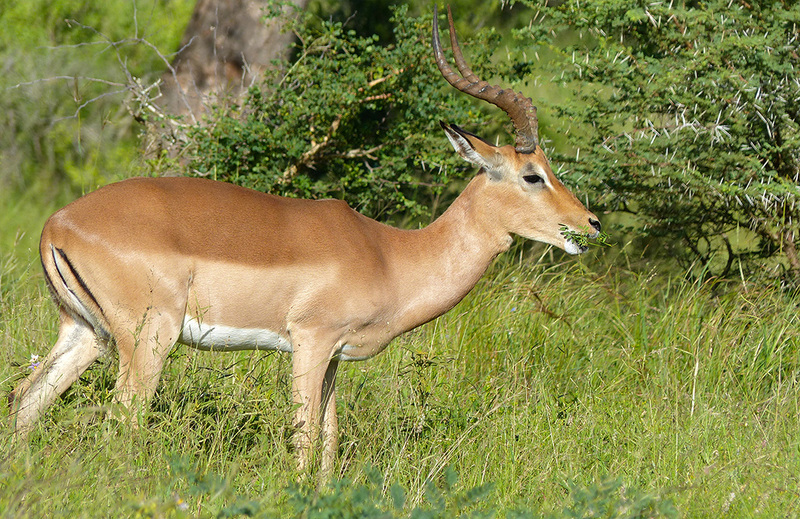 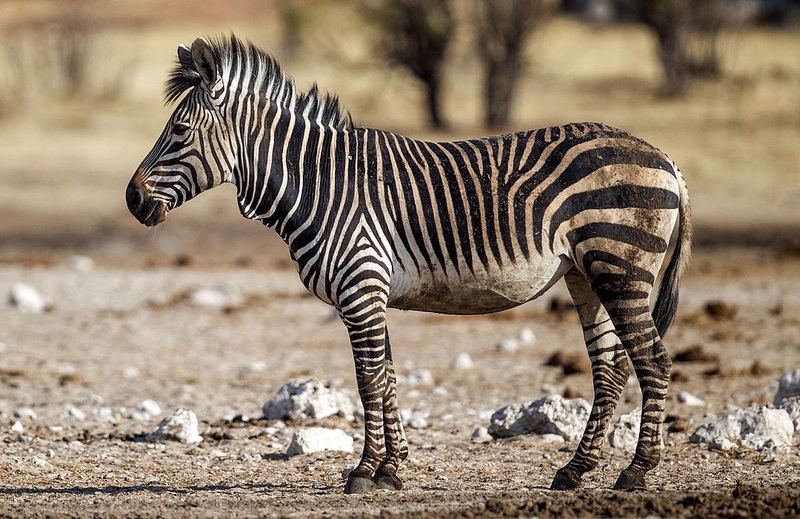 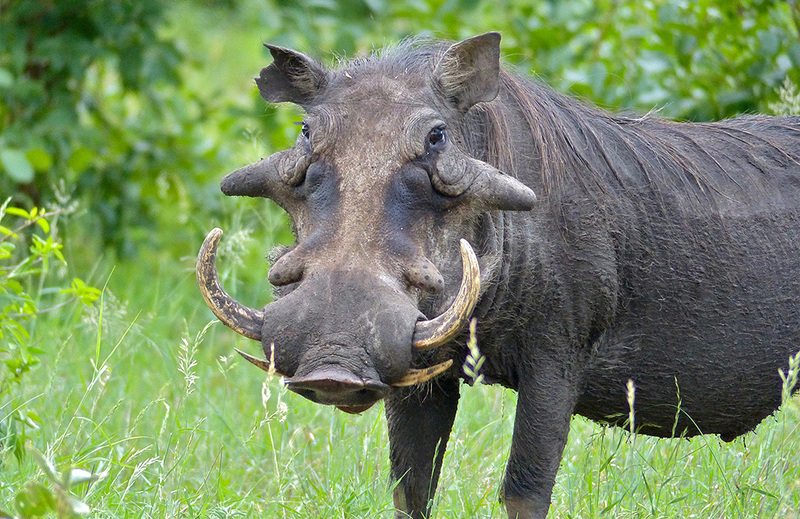 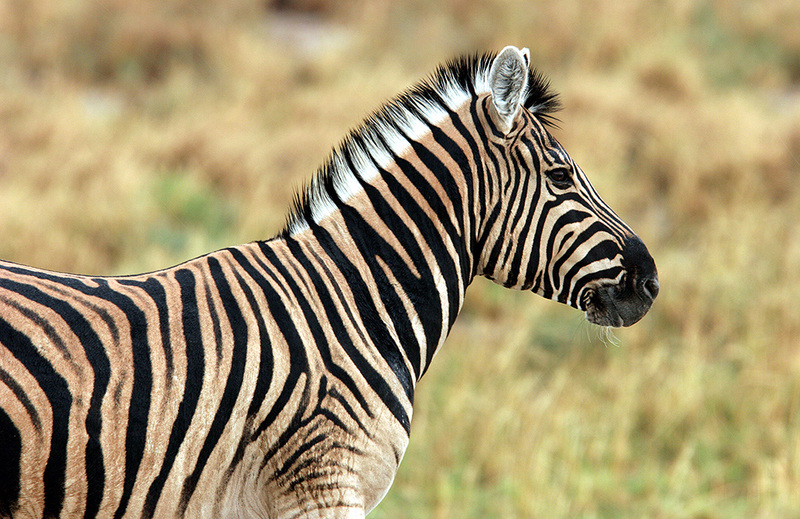 The length of its head and body ranges from 70 – 95 cm. 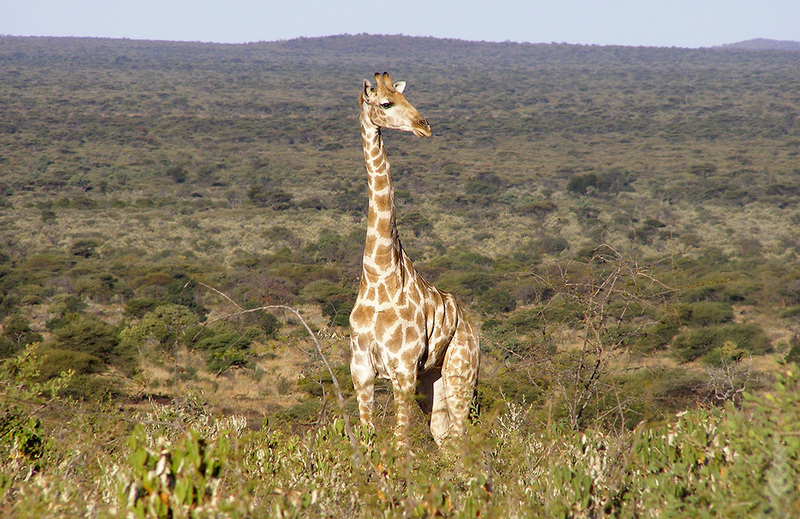 The shoulder height varies from 45 – 60 cm. 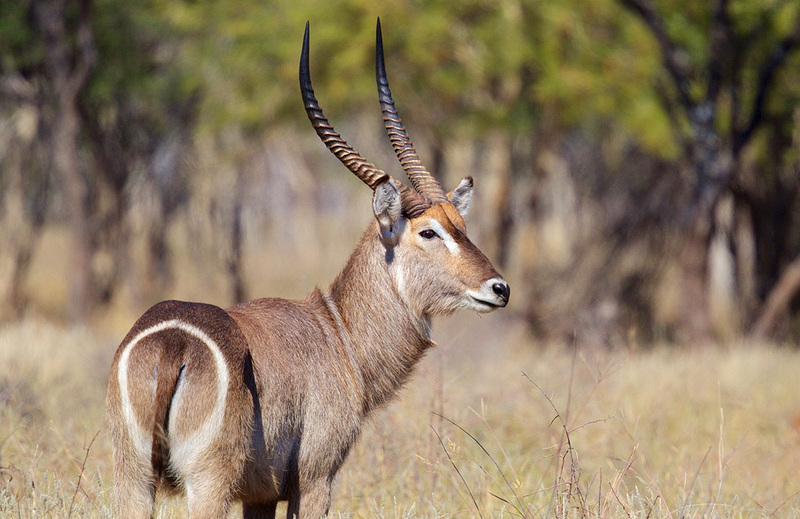 The tail is very short, with total length ranging from 4 – 6 cm. 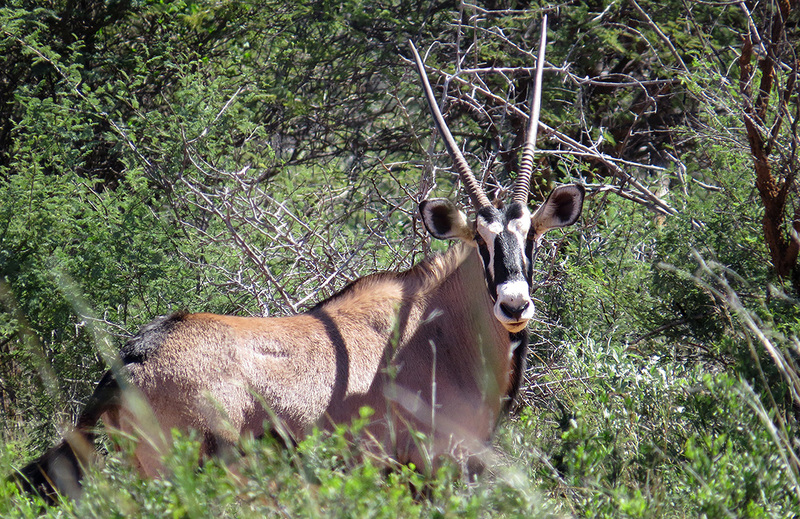 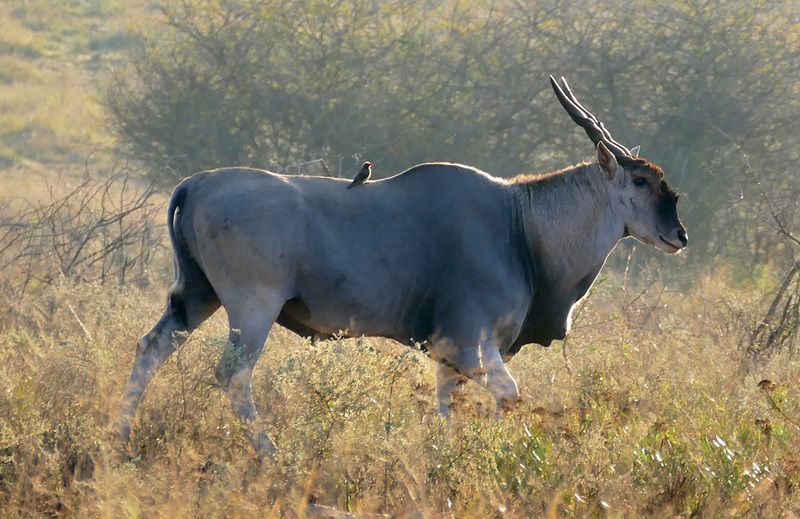 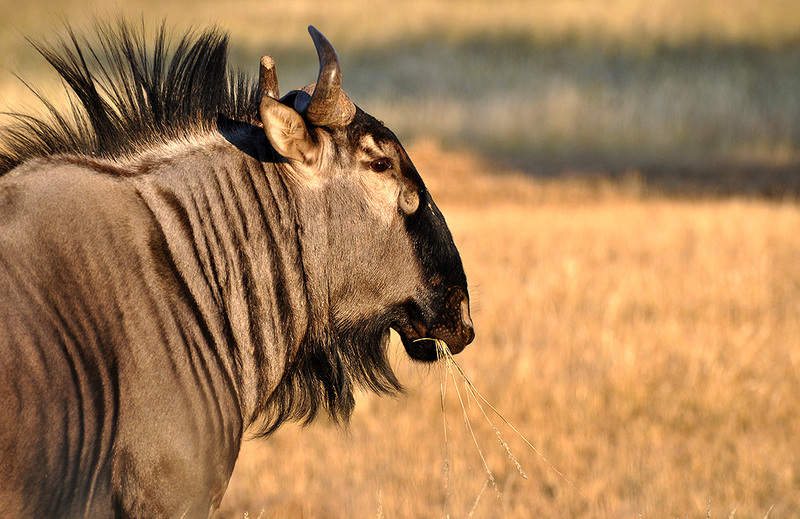 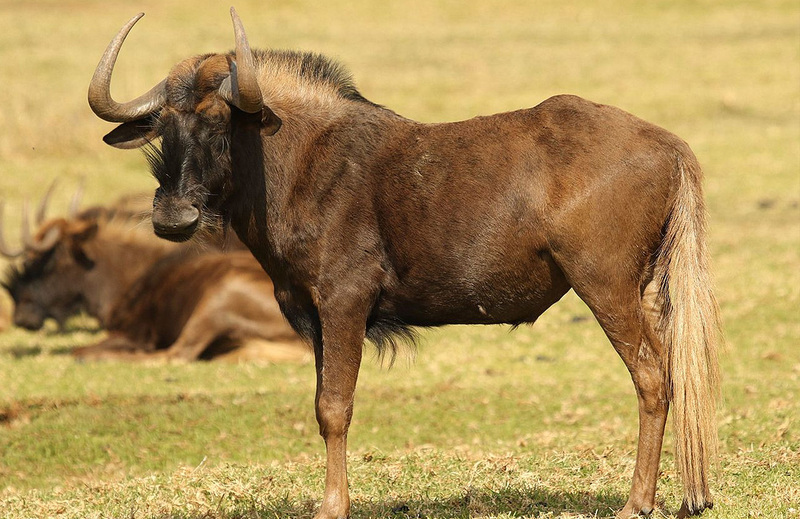 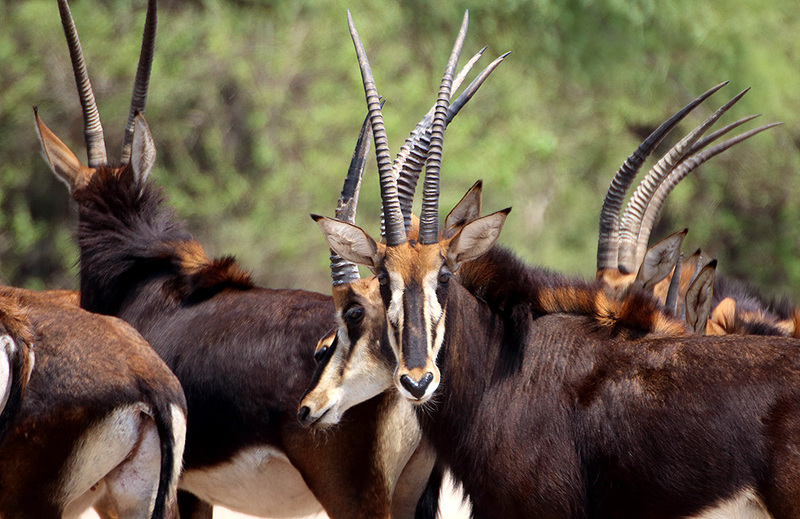 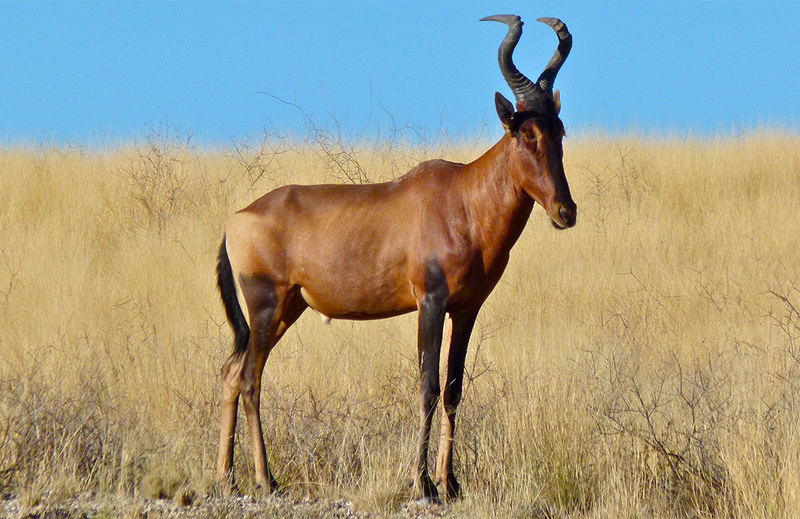 The horns are only found on males; they range in height from 9- 19 cm and are vertical in orientation. 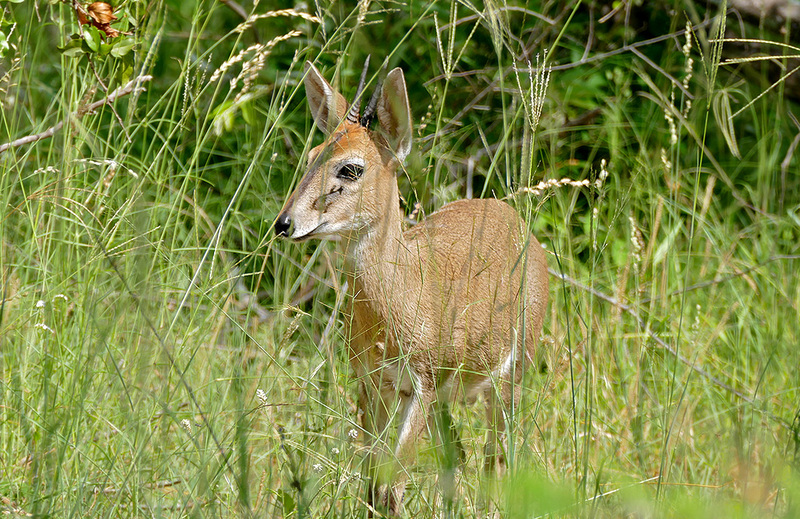 The coloration of the steenbuck is reddish-fawn, with a white throat and belly. 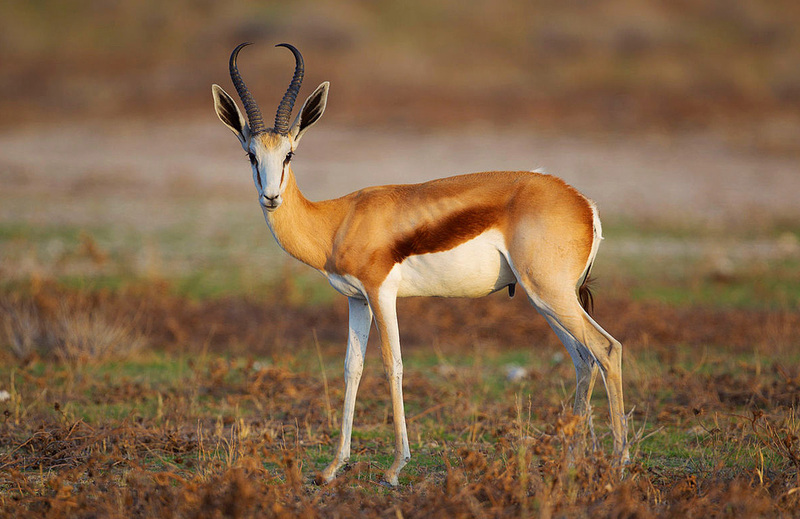 They also have large, white lined ears.